Go create your FREE Card from Tiny Prints & Oprah. This offer comes with FREE Shipping as well! 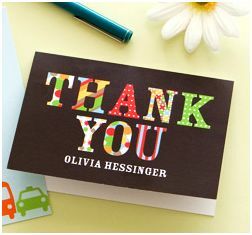 Just create a Tiny Prints thank you card and use coupon code TYOPRAH at checkout! Click here to get started! **Big Thanks to Common Sense With Money! !